Super Cool Books: SCBWI SG _____ Here are some ideas about using social media to connect with readers, from my AFCC 2017 talk "How Social Media Turned Me Into #KidLitDaddy"
SCBWI SG _____ Here are some ideas about using social media to connect with readers, from my AFCC 2017 talk "How Social Media Turned Me Into #KidLitDaddy"
I recently posted my photos from this year's Asian Festival of Children's Content. (They're here.) 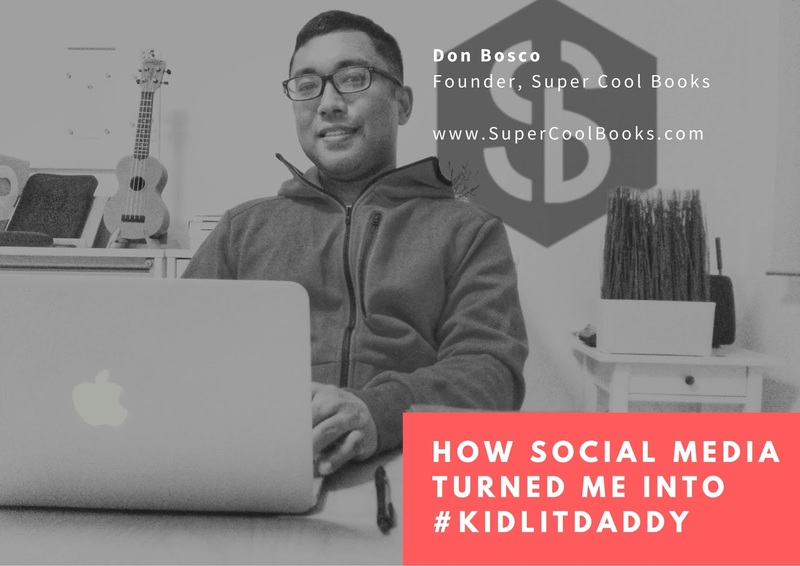 But I also promised to share some slides from my talk, How Social Media Turned Me Into #KidLitDaddy. If you've been waiting, patiently or otherwise, this is it! Sorry it took a little longer than I had expected. Thanks to everyone who turned up for the session, and hung around after that to chat or share your own experiences. Your journey with digital will undoubtedly result in myriad detours that you couldn’t possibly have anticipated. 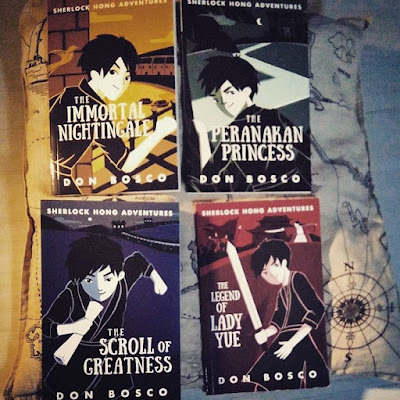 Take it from Don Bosco of Super Cool Books – he started off defining himself as a writer, but as he put more of his work online, he was co-opted into other roles – parenting expert, maker, digital whiz, incubator. He maintains that it was his ability to respond to these unexpected discoveries with a spirit of curiosity and openness that allowed him to achieve what he set out to do – meet more people and put his work out there. If his story teaches us anything, it is that the world of social media and digital allows you to talk to your audience, but also allows your audience to talk to you. Listen to the social conversation and take a chance on the unexpected – the detour might take you exactly where you need to go. Yes! That's it! Especially the last sentence. What about you? 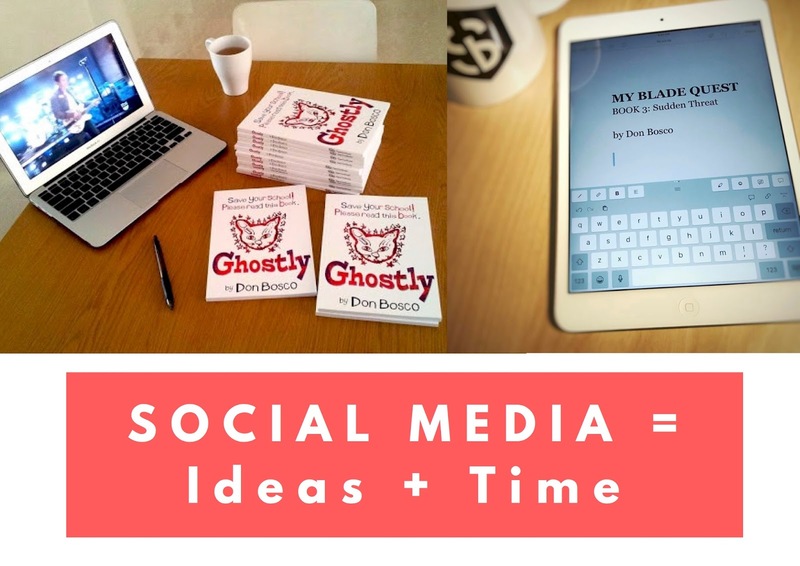 How do you use social media to connect with your readers? Are you happy with the results you've been getting? 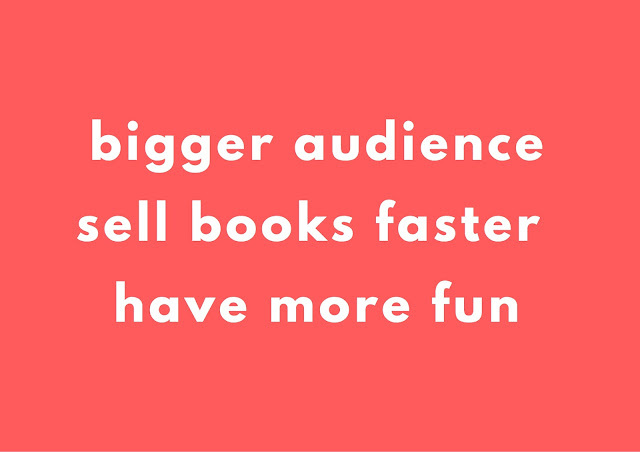 What wacky ideas are you considering, to entertain your audience? Feel free to drop me a message with your thoughts, and if appropriate I'd be happy to feature your work here. Enjoy the slides below, and I wish you great joy as you go about turning your own stories into books for children! The three important goals that keep me focussed. 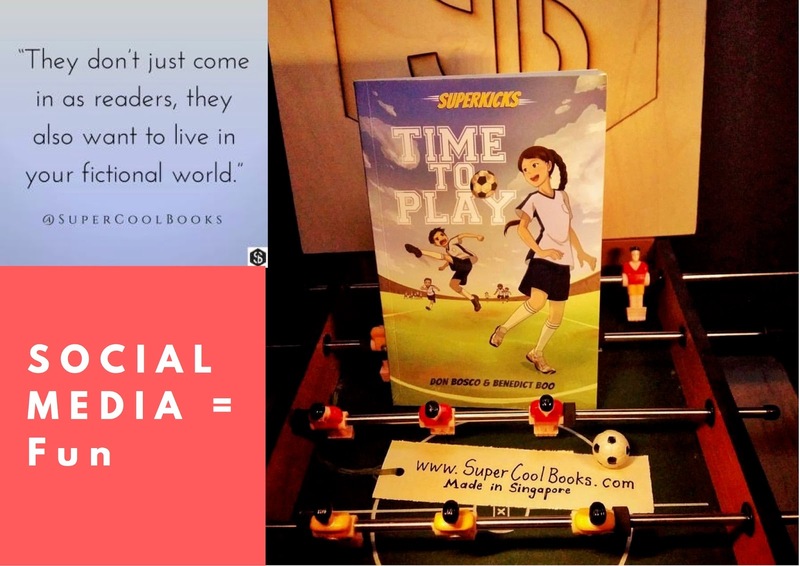 What are your own social media goals? I write on this blog quite often, and I use Instagram to share photos. But those are just social media publishing tools. What's always more important is that I focus on the interesting ideas that I want to share, and I give these time to develop and connect with an audience. Some of my projects took a few years before they made an impact. Some took off right away. So don't get too fussy about your social media tools. Just turn up and try to make a difference. And then keep turning up. No rocket science whatsoever. 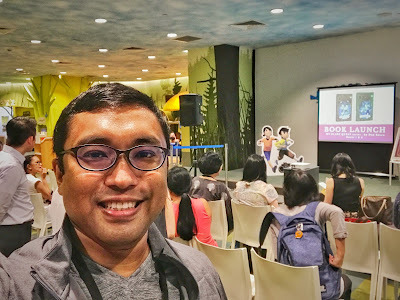 As a writer and publisher of children's stories, everything I do is driven by a sense of fun. There are other publishers who are good at educational content, or informative material, or heavily illustrated pages. I don't try to compete with them. Be honest about what you're passionate about, and really bring this out in your own social media work. That's how you establish your own unique voice. 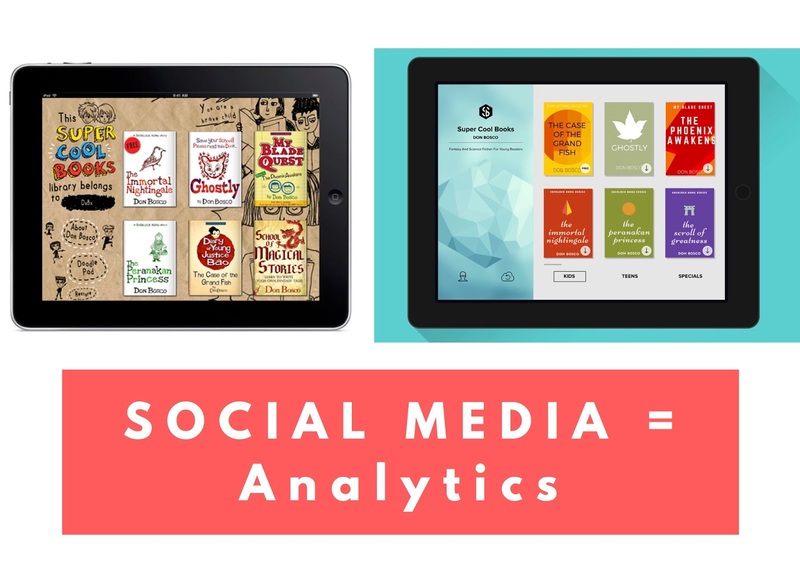 Analytics! 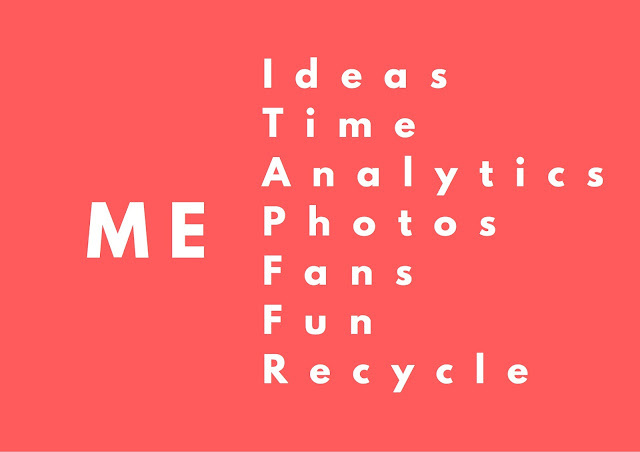 That's the art of using social media data to make sense of what your audience wants, and how they go about looking for this. Since the beginning, we've learnt to use analytics to make important decisions about book design, user experience, marketing opportunities, story ideas, where to invest our attention, which publishing partners to work with, and more. We sometimes set up simple tests and run these for months, to see if an idea for a new book will connect with our audience. We use all this data to improve the concept further, or sometimes we might even decide to postpone the project until a more suitable partner comes along. 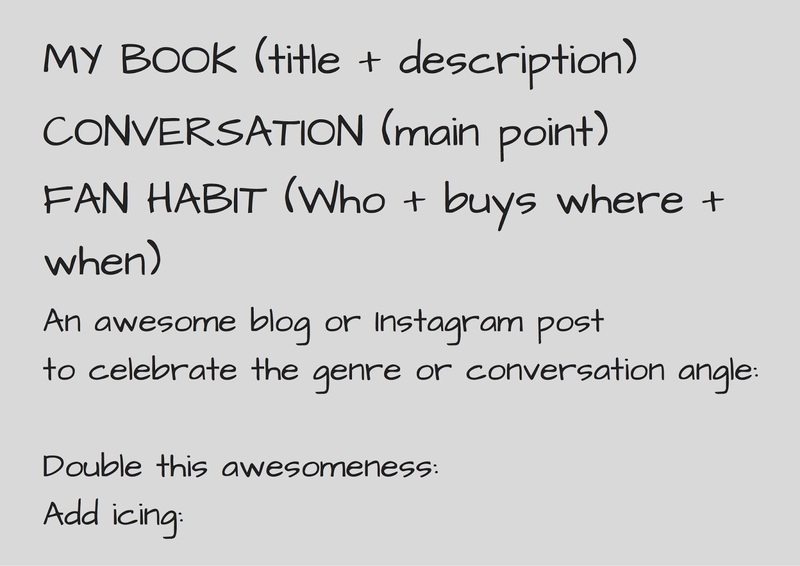 This slide shows the different factors that affect your success on social media. Get a simple notebook and use this as a journal. Write down your observations and ideas for each of these areas. Once you've captured some ideas in your journal, move on to the following slide, which is a simple worksheet I use for quickly designing interesting social media posts. Something here for you to try — The most important element you must identify is the CONVERSATION. What do your followers want to talk about the most? Are they interested in you? Or your writing process? Or the themes of your book? Or your cover design? If you can pick up on the right Conversation, you can get some authentic interest going, and that will help your audience decide if they want to buy your book. Whatever ideas you start out with, see if you can DOUBLE the awesomeness. Like, instead of shooting a selfie at home, could you go somewhere more exciting? Or gather some fans to be in the photo with you? 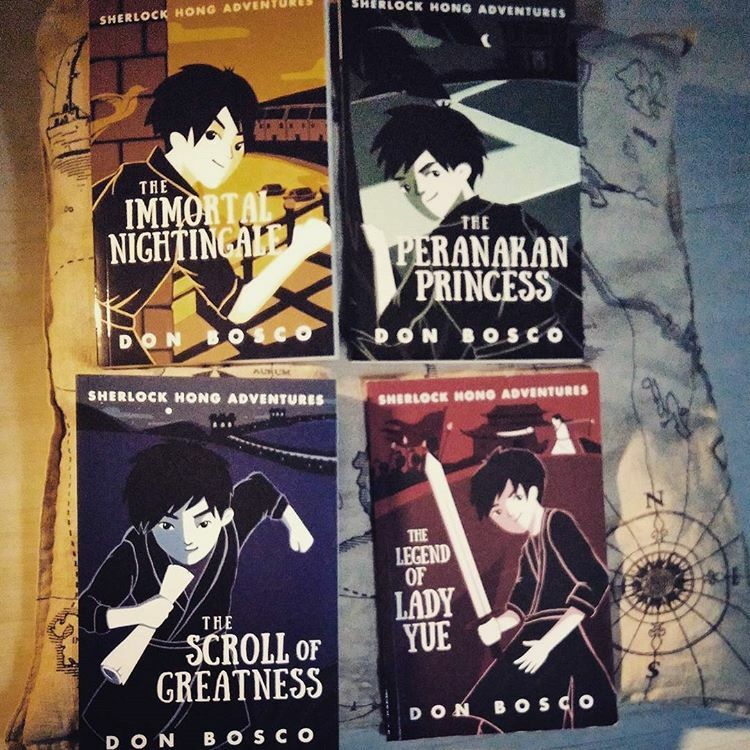 Or maybe you could dress up as one of the characters in your book, and pose for the photo? Etc, etc. Challenge yourself to be a little more awesome every day. This will show in your social media work. And the experience will be a lot more fun!